Today was an interesting day. 1.5 hour flight to New York, 2 hour lay-over, then and 11 hour flight to Rio De Janeiro. The airport was absolutely crazy busy. I had my Canada gear on, and some of the people in the large crowd waiting for friends and family started sheering for me – that was kind of cool! 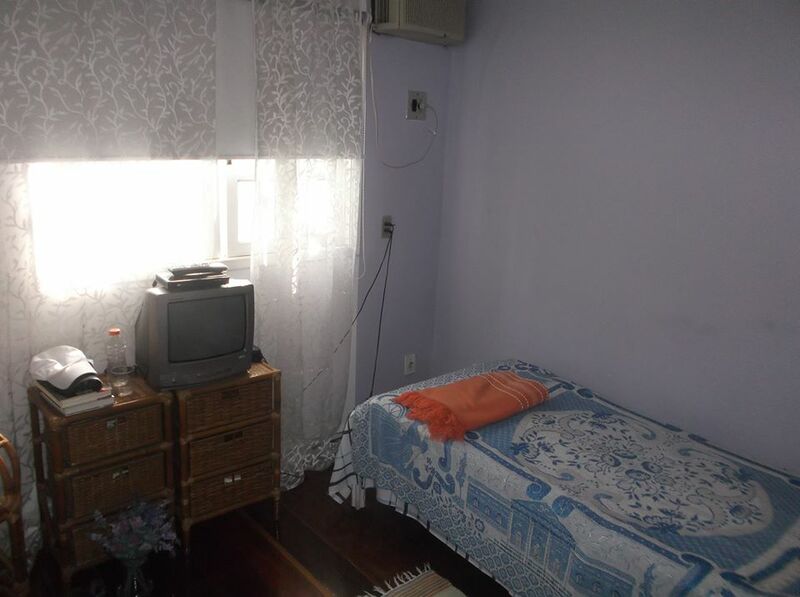 After about 1 hour trying to make sure I was giving my cab driver the right information, I arrived at the Bed and Breakfast Vila de Botafogo. It’s a house owned by a lady who rents upstairs bedrooms out as a B&B. Botafogo is a quiet part of Rio, about a 5-minute car ride from the Copacabana beach, which was my next stop. Got there in time to catch the last bit of the Holland vs. Mexico game and eat some great barbecue. The Fan-Fest that FIFA has organized on the beach is a lot of fun, and there are people here from all over the world. I really enjoyed being there but was exhausted so headed back to the B&B to catch a quick nap before the Greece vs. Costa Rica game, which I watched on a small TV in my room. Having seen this entire game, I have to say that I think the Costa Ricans were very well prepared physically. Greece decided to play very conservatively, and did not change their tactics much even after going 1 goal up, which meant that the Costa Ricans had to do a lot more attacking – and running. I will be interested to see the GPS/time motion analysis data on some of the Costa Rican players, notably Ruiz and Bolanos in midfield (who seemed to be all over the place) and the lone striker Campbell up front. They held off the Greeks, and created some decent chances in the extra time period. I think they fully deserved to win the game on penalties. Everybody I meet here is talking about soccer. Even though I speak zero Portuguese, I am somehow able to communicate with most of them. I am getting the feeling that the Brazilians believe they can win the whole thing now. Tomorrow there are 2 big games and I will likely be watching both of them at the beach. The winners tomorrow will play in the quarter final here on July 4 (the game which I have a ticket for!). I’ll be blogging every day with highlights and some soccer/fitness related content about the games.